The goal of this project was to create an all-type poster for a typeface. 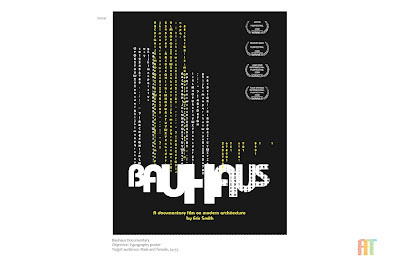 Bauhaus, are both a typeface and an architectural movement. I chose to use an interpretation of the architectural style created with the typeface to promote a documentary on the movement.